Pinot Noir is often described as the most romantic of wines because it packs a voluptuous punch of flavor that can only be compared to the feeling of falling in love. 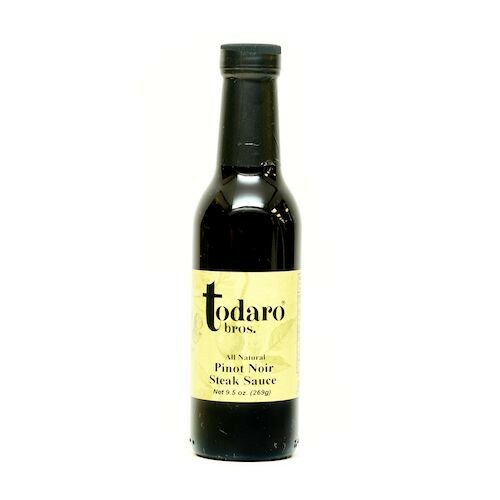 Our Pinot Noir Steak Sauce will make you fall in love with your favorite foods all over again. This sauce is a delicious blend of premium Pinot Noir, Worcestershire, tomatoes, garlic and just a pinch of cayenne.